The partner institutes and departments of the CRUK Cambridge Centre take part in and organise a range of public engagement activities and events. A number of these are coordinated through the University’s Public Engagement team. The main event is the Cambridge Science Festival which takes part over a two week period in March/April, coinciding with National Science and Engineering week. 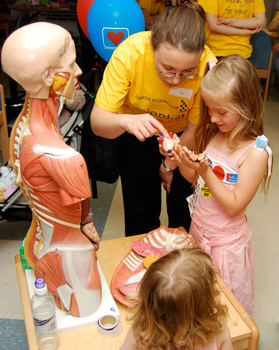 The Festival is the UK’s largest, free science festival and attracts around 35,000 visitors each year. 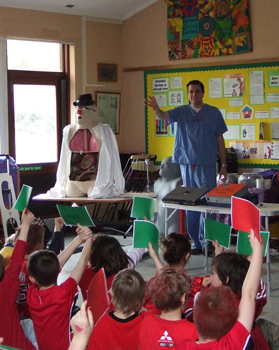 A number of our partner institutes and departments organise Open Days and their researchers give talks at local schools. Some also host school visits and have a range of teaching resources and materials available to download from their websites.